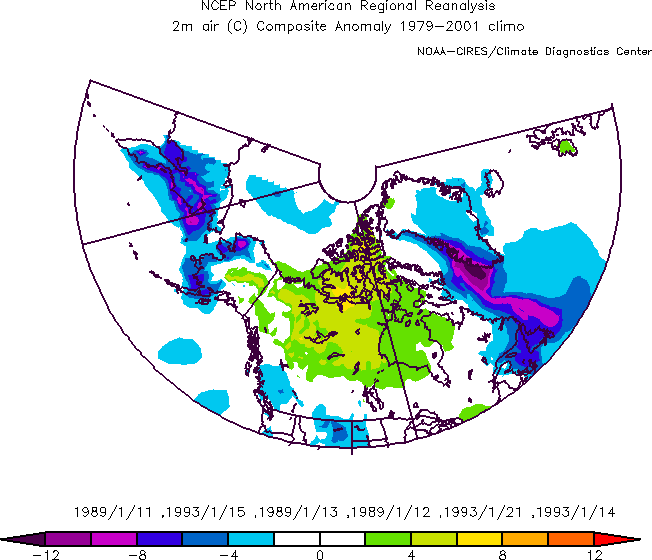 Plots monthly and seasonal composites of US climate Division Data (temperature, precipitation and PDSI). Plots means, long-term means and anomalies and rankings. 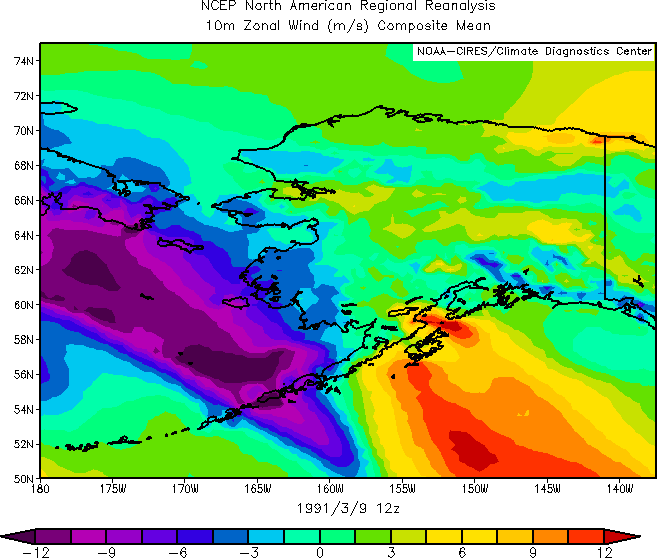 Plot 6-hourly composites from NCEP/NCAR R1 data. 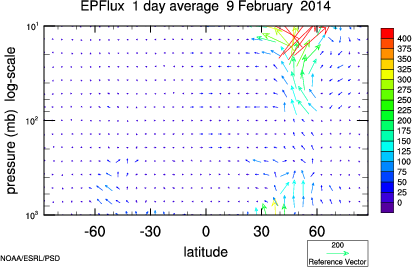 Plot composites of the daily data from the NARR. 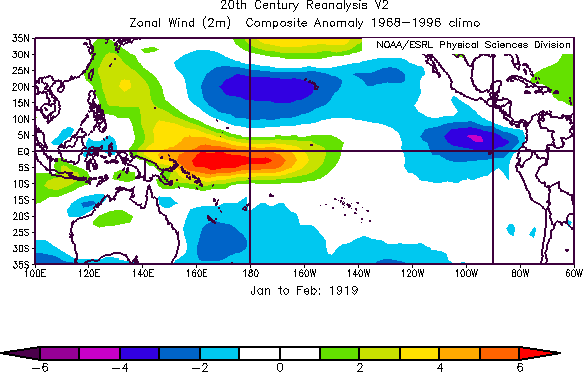 Includes means, anomalies, and climatologies. 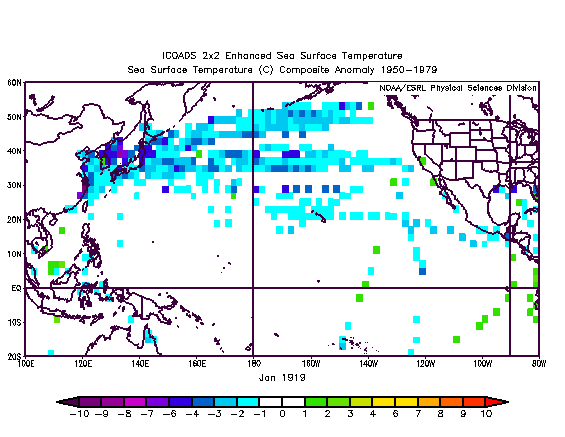 Time-series: Plot monthly ocean/atmospheric time-series. 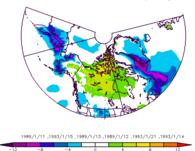 Plot and compare monthly climate index timeseries such as the PDO, the NPI, ENSO, and others. 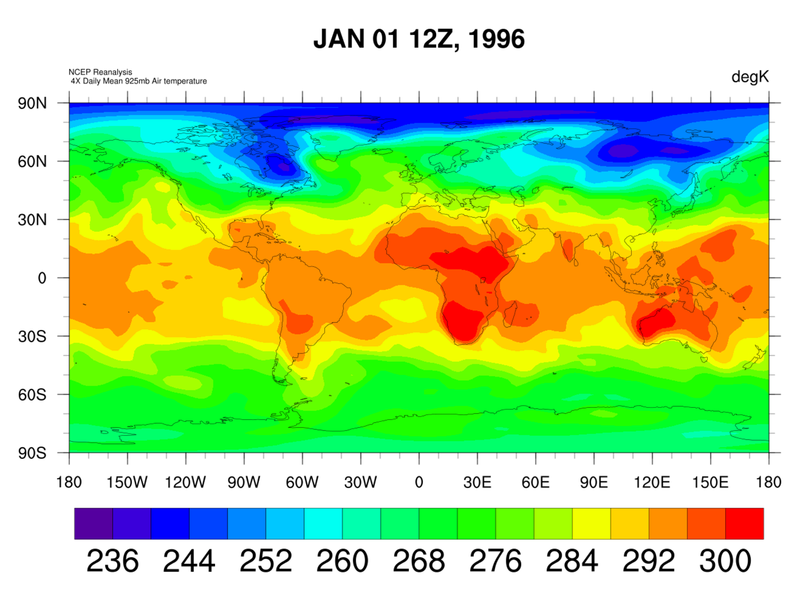 Point and Click or text interfaces to United States station data climatologies of temperature, precipitation and other variables where available. 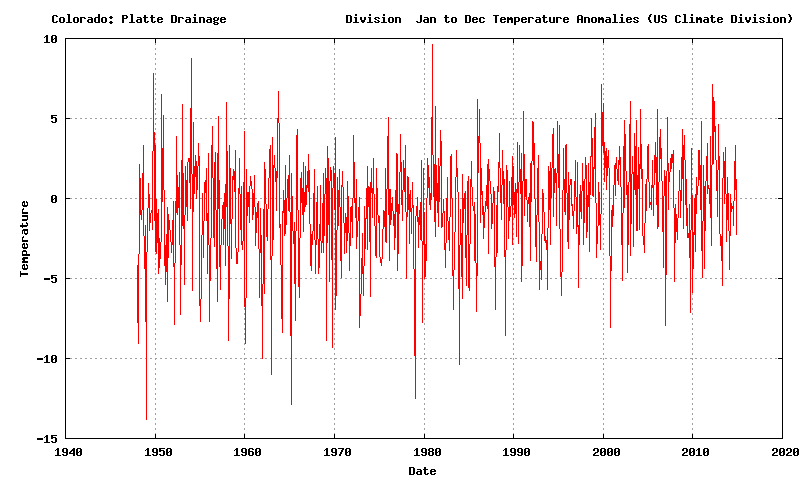 US Station Data (Daily): time series, climatologies, and distributions. Select US cities by state for data from 1950-1999. 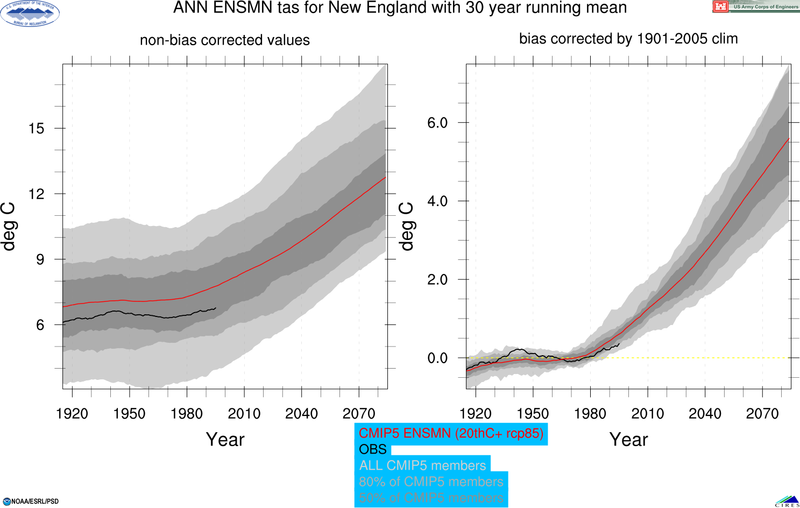 Timeseries plots, climatologies and data distributions available for temperature(max,min) and precipitation. Some analysis and statistics available. 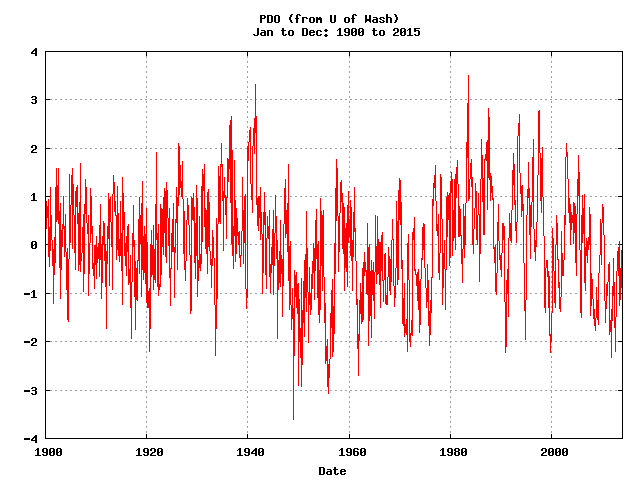 Plot daily or daily averaged NCEP Operational Data. 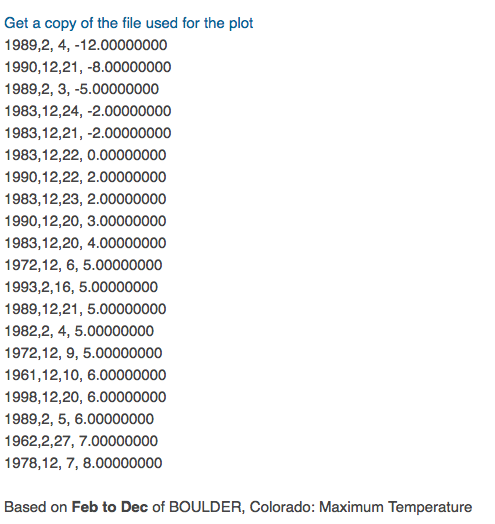 User can plot means, anomalies or climatology. 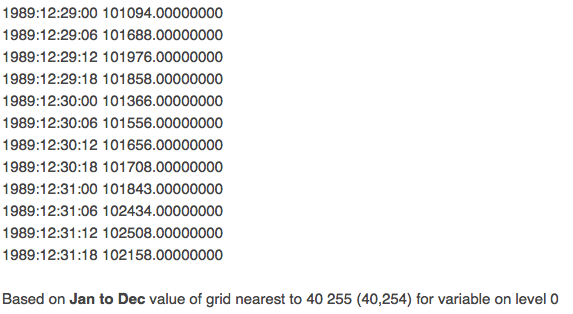 Plotting options and regions can be specified. 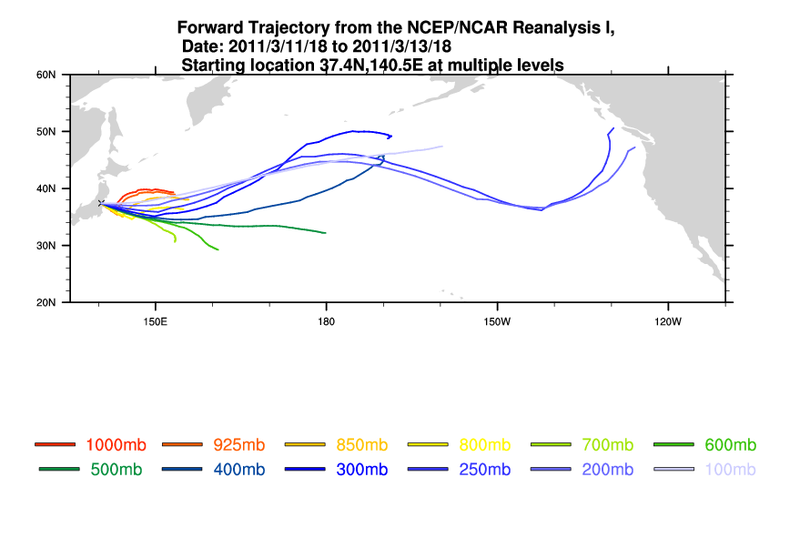 Displays El Niño and La Niña averages of different climate variables for winter and summer and for the entire globe or just the US. 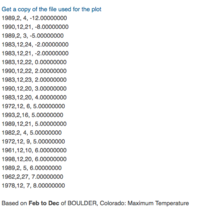 Plot distributions and fit selected distribution models of daily data from reanalyses including the20th Century Reanalysis and observed datasets. Create custom animations from gridded datasets.